Some of us love Christmas music, and for some of us, the second November rolls around, shopping becomes a nightmare as we’re forced to endure Christina Aguilera singing “Have Yourself a Merry Little Christmas” while shopping for dad’s tie or whatever. If only every mall in America were forced to buy Sufjan Stevens’ latest box set of Christmas material (that’s right, this is the second one, after Songs for Christmas Vol. 1 was released in 2006). The five-disc set includes contributions from members of The National and The Arcade Fire, among others. 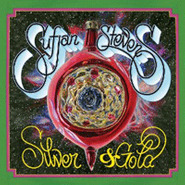 The first disc, Gloria, includes fairly faithful (if quite Sufjan-y) takes on classics well- and lesser-known such as “Silent Night” and “Coventry Carol,” plus originals such as “The Midnight Clear,” which is a glorious bit of Illinois-era Sufjan. There’s a lot more weirdness on disc two, I Am Santa’s Helper, with songs like the funky “Christmas Woman” and an off-tune, indie rock “Jingle Bells.” Christmas Infinity Voyage offers a nine-minute electronic take on “Do You Hear What I Hear?” amid other more electronic touches, feeling more in line with 2010’s The Age of Adz. Disc four, Let it Snow, is more traditional, with notable changes including a scary, goth-folk cover of “Let it Snow! Let it Snow! Let it Snow!,” while singer Cat Martino offers an original, the stark and pretty “The Sleigh in the Moon” and a stunning, angelic version of “Ave Maria.” Disc five, Christmas Unicorn, rather hilariously begins with cheesy electronic drums opening “Have Yourself a Merry Little Christmas” like Manheim Steamroller. The disc ends up being a nice summary of what’s come before it, with orchestral and electronic flourishes boosting these Christmas-themed songs beyond their confines, exploding into a 12-minute electro diatribe about a Christmas Unicorn. Ultimately, that combination of reverence and inventiveness is what Silver & Gold is all about — taking something traditional (like Christmas) and overblown and making it your own.